Volunteering during the holiday season is a wonderful way to bring families together or inspire young people to find interest in philanthropy and humanitarianism. 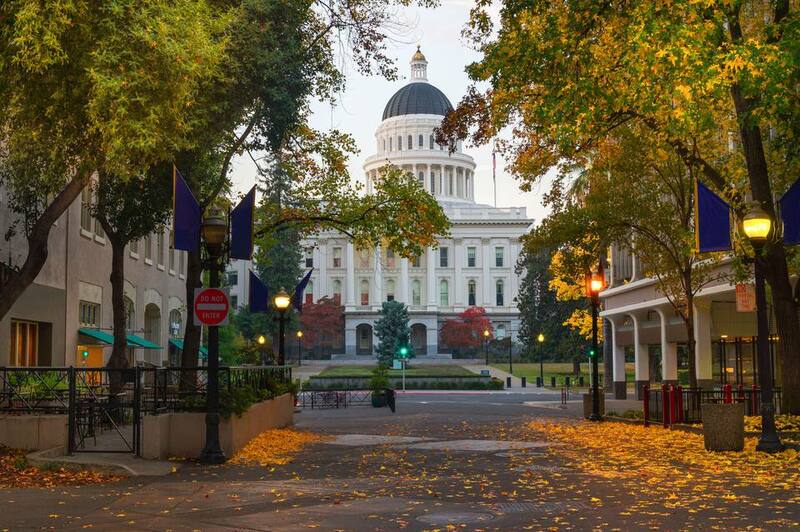 From serving up meals to the homeless at area soup kitchens to reading stories to local children at public libraries, there are plenty of volunteer opportunities in Sacramento this Thanksgiving. Whether you're a student on break for the holidays or are traveling with your family to California's capital to celebrate Thanksgiving, getting involved with a local organization is a great way to give thanks this year by giving back to the Sacremento community. The volunteer opportunities here are as diverse as the city’s population itself, with plenty of options for animal lovers, families with small children, and humanitarians of all ages. However, while the following opportunities are up-to-date as of November 2018, you may want to consider using VolunteerMatch or the City of Sacramento Volunteers website to find specific opportunities in the area, especially if you're planning to volunteer closer to the holidays. This Thanksgiving, don’t just eat and watch the game—instead, get inspired by helping those less fortunate. There is no limit to what you can do, even when you may feel as if you have nothing to offer. Get out there and serve your local community—you’ll feel great that you did. Loaves & Fishes is a homeless shelter, soup kitchen, and survival services provider located just north of downtown Sacremento in the Richards Boulevard area of the city. This Thanksgiving, there are several ways individuals, families, and even church or social groups can get involved with this private charity organization, which is funded entirely by individual donations. There is a lot of hands-on labor to be done, including food prep, cooking, serving and cleaning, especially for Thanksgiving Meal 2018, which will be served on November 20 this year. Loaves & Fishes is accepting donations of menu items at their warehouse in Sacremento (1351 North C Street) from 7 a.m. to 2:45 p.m. daily from November 12 to 16, 2018. You can also volunteer to write thank you letters, teach at their affiliated school, or work at the service desk at neighboring Friendship Park. All volunteers must be 14 years or older and need to attend a volunteer placement orientation. Royal Stage Christian Performing Arts is a theatre arts company is based in Roseville, California, that is almost always looking for volunteer teachers, mentors, and administrative assistants to help with the day-to-day operations of this faith-based performance group. Members of the Royal Stage focus their services on children and young adult women who have survived various forms of abuse, including those who have come out of human trafficking situations. Royal Stage also hosts several fundraiser events and features several children's showcases throughout the year, including one during the Thanksgiving holidays. For more information on getting involved with this unique Christian ministry, you can visit the Royal Stage volunteer website. No matter where you're staying in the city, chances are you won't be too far from a branch of the Sacramento Library, which provides plenty of chances to get involved in the local community this year including adult literacy tutoring, event assistance, restocking books, reading to children, and organizing special programs for teens and kids. Volunteers must be over the age of 18 (or have the written permission of a parent or legal guardian). Additionally, adults volunteering in activities, assignments, or programs that are for children or teens are required to complete a Live Scan background check prior to starting a volunteer assignment. The Front Street Animal Shelter in Sacramento has opportunities for the whole family to volunteer this holiday season (and all year long). However, the Front Street Shelter asks that volunteers commit to at least 20 hours over three months of service when applying as they are seeking more long-term volunteers rather than short term. In-shelter volunteers can assist with cleaning, food storage and distribution, training dogs, socializing cats, and even working on special projects, fundraisers, and projects, while foster-care volunteers help by providing temporary homes to a sheltered animal (until it adopted by its forever home). Those aged 16 and over can volunteer in all areas, while those aged 12 to 15 can enroll in a special teen program or volunteer alongside an adult relative. Kids under age twelve can still volunteer time through donation drives, pet treat bag stuffing, and helping raise money for the charity itself at seasonal events. The Sacramento Food Bank is known for its Run to Feed the Hungry event, which takes place on Thanksgiving morning and requires a legion of volunteers to produce. The Food Bank is looking for a variety of volunteers from November 17 to 22, 2018, to help make this event a success this year. The food bank also has volunteer opportunities year-round for teens and adults in a variety of areas including donation drives, turkey collections, food delivery, administrative services, and special outreach programs. However, volunteers must attend an orientation before signing up for shifts on the Sacremento Food Bank Volunteer Calendar. On Saturday, November 17, 2018, you can join the Sacramento chapter of Chicktime for a special Thanksgiving event they put on for the Children's Receiving Home of Sacremento. Chicktime is a national non-profit organization providing children's entertainment, support services, and special events through local chapters' events throughout the year. During the 2018 holidays, Chicktime Sacremento is looking for volunteers over the age of 21 who are willing to dress up and act like pirates for a day of fun called the "Pirates of Sacremento Pirate School." Volunteers will be expected to arrive in the lobby of the home at 8:45 a.m. on November 17 to play, interact, and teach children from 9 to 11:30. Although the Children’s Receiving Home of Sacremento no longer accepts group volunteers to teach orphaned children due to increased regulations for licensing in California, they've opened up several new positions at the home for those who have proper teaching and childcare certifications. All prospective employees must be aged 21 or older and pass a livescan fingerprint and Department of Justice clearance in order to apply. Thanksgiving Volunteer Opportunities in Washington, D.C.